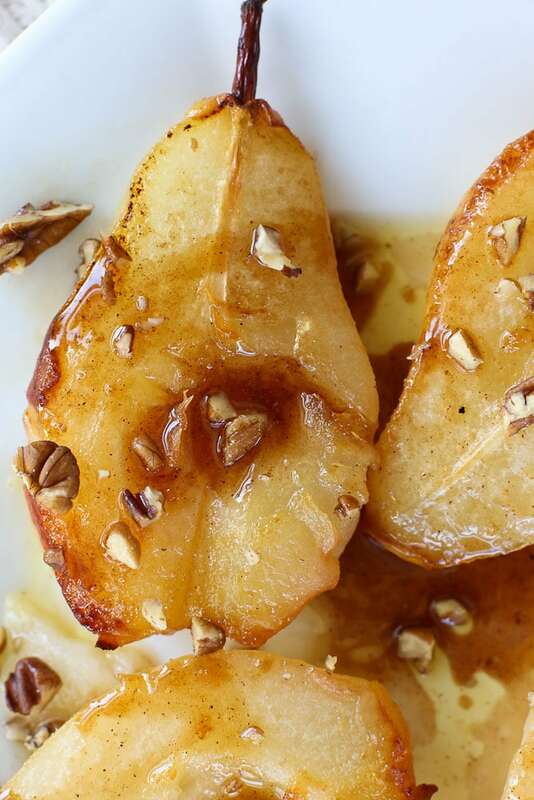 This recipe for Simple Baked Pears with Maple Syrup looks like a fancy dessert, but it’s so quick and easy you won’t believe it! Just look at that gorgeous plate of Simple Baked Pears with Maple Syrup. So fancy, right? The truth is, this is the easiest dessert you’ll ever make and it’s healthy to boot! What got me most excited about these Simple Baked Pears, though, was my family’s reaction. They loved these. I knew I was excited about a fruit dessert with very little added sugar (just two tablespoons of maple syrup in the entire recipe! ), but I didn’t think they would share my enthusiasm. I was happily surprised when they thought these Simple Baked Pears were incredible and mmmmm’d the whole time they were eating them! I’d call that a win all around. A quick, easy dessert recipe that’s healthy and my family loves? These Simple Baked Pears will be on our menu often! I’ve made these a few times now and have only served them with just the pears. I do think they would be incredible with a scoop of ice cream (or this non-dairy mousse–YUM!). I think next time we will try that! 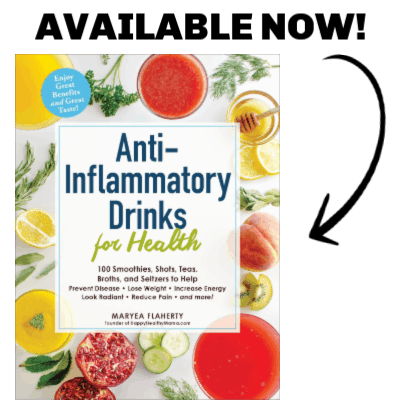 I hope you try these because I just know you’ll love them! 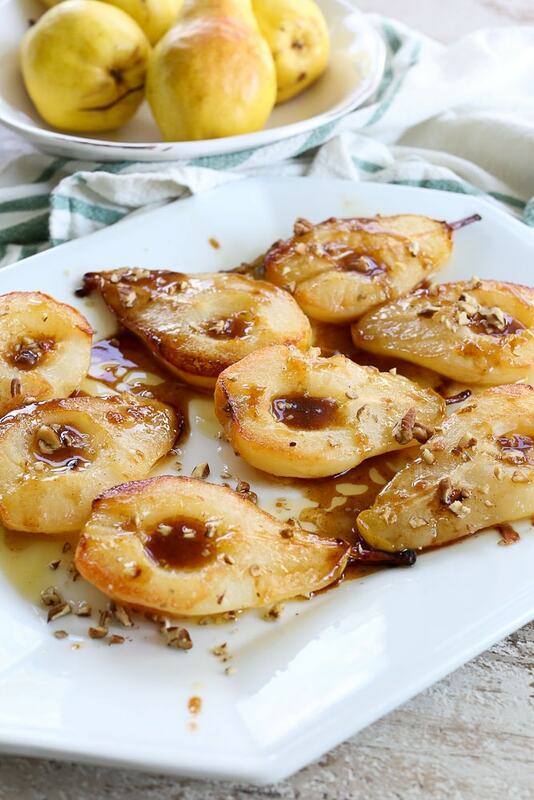 These Simple Baked Pears are a quick, easy, and healthy dessert with very little added sugar! Peel the pears and cut them in half length-wise. Carefully scoop out the core and seeds from each half. In a cast iron or other oven proof skillet, melt the butter over medium heat. Place the pears in the skillet, cut side down, and cook them until they are starting to get browned, about 2-3 minutes. Transfer the skillet to the oven and bake for 15 minutes. Using a fork, carefully flip pears to cut side up and continue to bake another 10 minutes. Remove the pears from the oven and carefully transfer them to a platter. Put the skillet back on the stove over low heat, and whisk in the maple syrup with the butter and juices in the skillet. Spoon the maple syrup sauce over the pears. If desired, sprinkle with chopped pecans. Enjoy! If you like baking with pears, try these fruit sweetened Pear Oatmeal Bars! 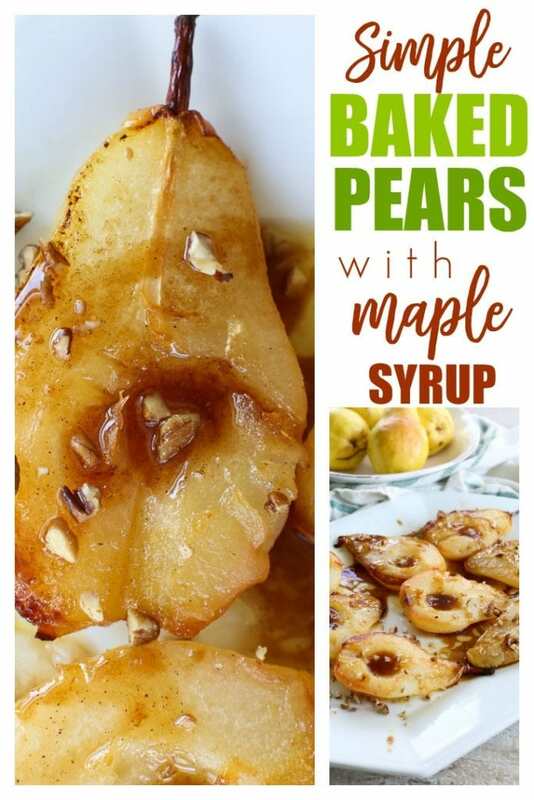 If you make this recipe for Simple Baked Pears, or any Happy Healthy Mama recipe, I would LOVE to see it! Please take a pic and share it on Instagram or the Happy Healthy Mama Facebook page and tag me @happyhealthymama ? If you’d like to save this recipe for later, here’s an image to save to your Pinterest dessert board!